Glass was released on Cinema 95d ago in the US and the UK. Based on 23 Glass Cinema reviews, Glass gets an average Cinema review score of 50. The score for all versions is 50 based on a total of 23 reviews. Glass is not the movie some may have been hoping for: the apex of Shyamalan’s return to form and a classic good-versus-evil showdown. Shyamalan’s talent for primitive scares remains intact in Glass, as does his love for cramming a whole lot of story in one feature. M. Night Shyamalan’s film is aimed at an audience from whom he cringingly craves fealty. M. Night Shyamalan combines the characters from "Unbreakable" and "Split" into a comic-book sequel that holds you without haunting you. The latest from M. Night Shyamalan sees characters from ‘Unbreakable’ and ‘Split’ wreaking havoc in Philadelphia. Glass is a minuscule epic with aspirations to be so much more than what it is, which is why it smarts so, watching it as a fan of comics, heroes, and the occasional M. Night movie. 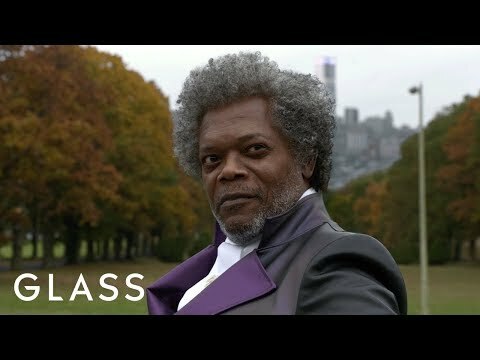 Bad news for M. Night Shyamalan fans: ‘Glass’ is a mess.